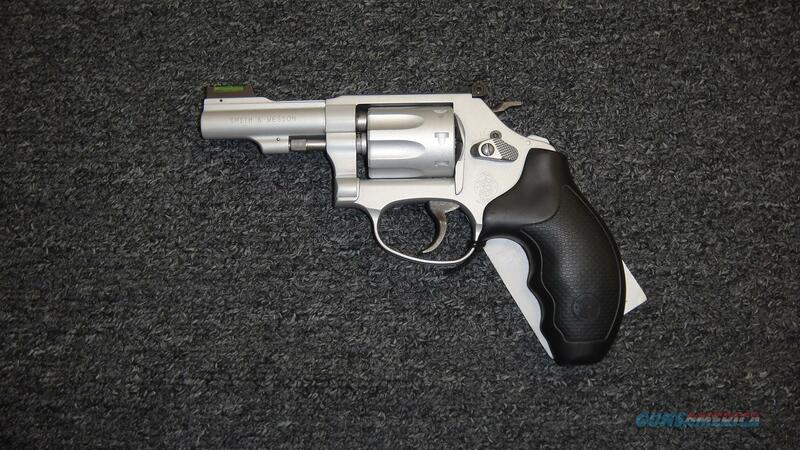 Description: This new Smith & Wesson 317-3 Air Lite revolver fires the .22lr round. It has a 3" barrel with an overall satin silver finish. This 8 shot revolver has a Hi-Vis fiber optic front sight and adjustable rear sights. It comes with lock, manual, and box.